As mentioned above, not only does a player's performance decide the nominations, but also the impact they had for their respective teams. As such, while nominating players for the award, trophies and titles won by the player's club and national team are taken into consideration. Now, the undeniably biggest tournament of this year was the 2018 FIFA World Cup. The quadrennial competition was this year's grandest and biggest event. Alas, neither Ronaldo nor Messi managed to make it their own. 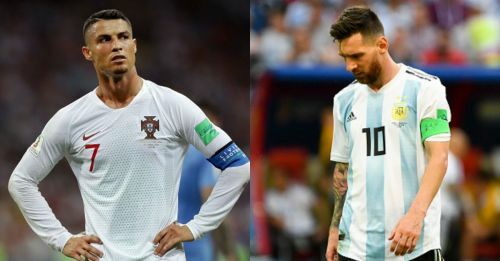 Messi's Argentina bowed out against France in the Round-of-16 while Ronaldo's Portugal bowed out to Uruguay in the same round. Now, both superstars may have won significant silverware with their respective clubs, but failure to do so with their national sides is bound to have an adverse effect on their chances at winning the Ballon d'Or this year.